Youth Poets Workshops is a component of WS Next Generation Project in support and development of young writers. These workshops are mentored by top performance poets and Dallas Youth Poets founders, Joaquin Zihuatanejo and Alexandra Marie Thurston. They provides poetry and slam outreach to area youth in two great locations for young writers to meet and open to ages 11-17. Participants instructions in writing and performance culminate in eligibility to compete for Dallas Youth Poets sponsored Team,representing Dallas in the annual conference and competition, Brave New Voices. The workshop participants are also eligible to compete in other area youth team competitions. Joaquin Zihuatanejo (born in Dallas, Texas) is an award-winning American slam poet and teacher. 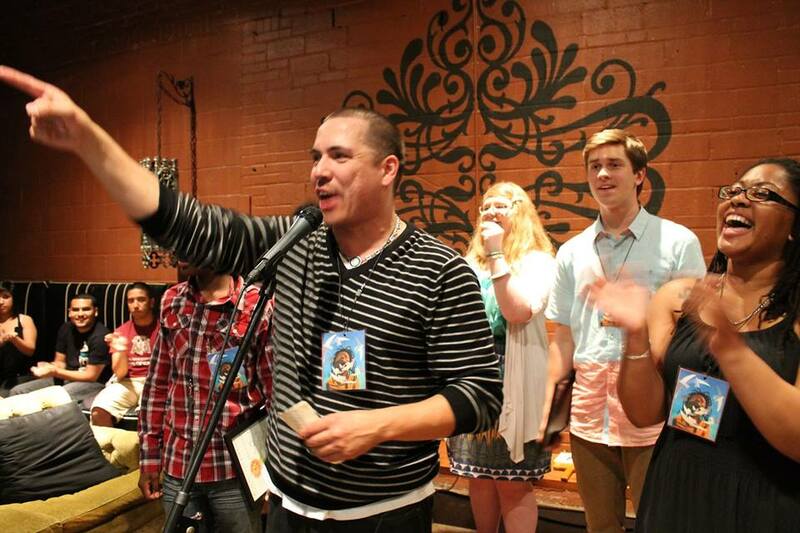 In 2004, Zihuatanejo competed in the National Poetry Slam as part of the Dallas Poetry Slam team, which placed third. He also appeared on HBO’s Def Poetry in 2005. In 2008, he won the Individual World Poetry Slam and was the winner of the World Cup of Poetry Slam in 2009. Currently, Zihuatanejo resides near his hometown of Dallas with his wife and two daughters. Outside of poetry, Zihuatanejo taught English and creative writing for seven years. 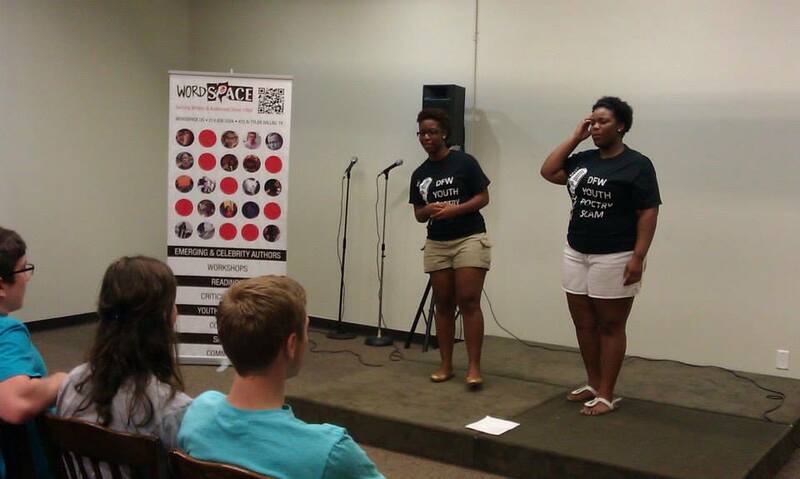 Alexandra Marie Thurston, (seen right) is a writer from Los Angeles and Director of the Dallas Poetry Slam. She bring years of service to the poetry community and inspiring mentorship to young writers. Alexandra Marie Thurston serves as the board of directors of WordSpace. A lifelong lover of lyrics, Michael Hatcher began writing when his lack of rhythm (and singing skills) thwarted any dreams of making music. When Michael was young, he and his best friend created a comic book: Michael wrote the story and his best friend drew it out. Though he studied poetry while in college at the University of North Texas, Michael didn’t start writing in that genre until 2010. Since then, he has made three slam teams, representing his hometown of Fort Worth in 2011, and Arlington (Inkwell) in 2012 and 2013 at the National Poetry Slam. Describing his style as minimalist, Michael tries to say as much as he can with the least amount of words. Michael writes about the things he has experienced, his insecurities, regrets, and those who have touched his life in some way. Everything inspires him: The way John Frusciante plays guitar, the books he reads, the way his mother smiles, Katy Trail, the poetry community, his Inkwell family, his Dallas Slam family, his Fort Worth Slam family. This reading is a Featured Reader Series at the Dallas Poetry Slam.